﻿﻿﻿BREAKING NEWS! The ENF Board of Trustees has doubled the funding for the Community Investments Program to $4.6 million from $2.3 million. This increase in funding will allow Lodges to do even more to strengthen their communities. Every week from now until the new fiscal year begins in April, we will highlight a Lodge that has used a Community Investments Program grant to make a meaningful difference in its community. Long Beach, Wash., Lodge No. 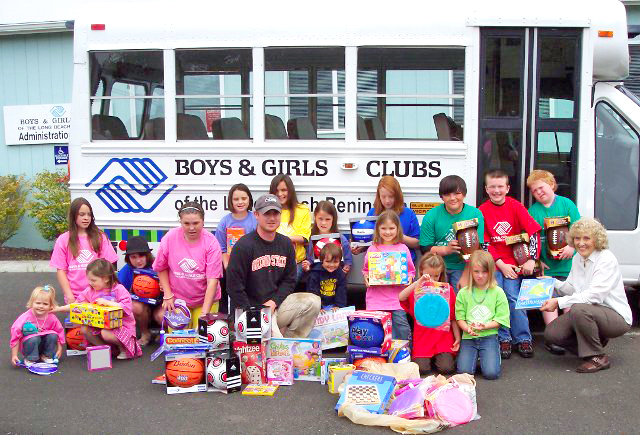 1937 used its Gratitude Grant to support a new branch of the Boys & Girls Club in their community. Elks purchased games, books and sports equipment for the club, and also volunteer their time. The happy recipients pose here with their supplies! I think the boys and girls really appreciated this to help get them started!! Good work Long Beach! !